In The Saddle’s Imogen Brown tells us about her trip to Los Alamos in October 2017. Here, she highlights the best bits of her trip from the friendly hosts to the exhilarating beach riding. Being our best-selling European destination, I had high hopes for my visit to Los Alamos in October. I am pleased to report that it didn’t disappoint. From the moment I arrived at the airport and met Andrew (one of our hosts for the week) I instantly felt relaxed. 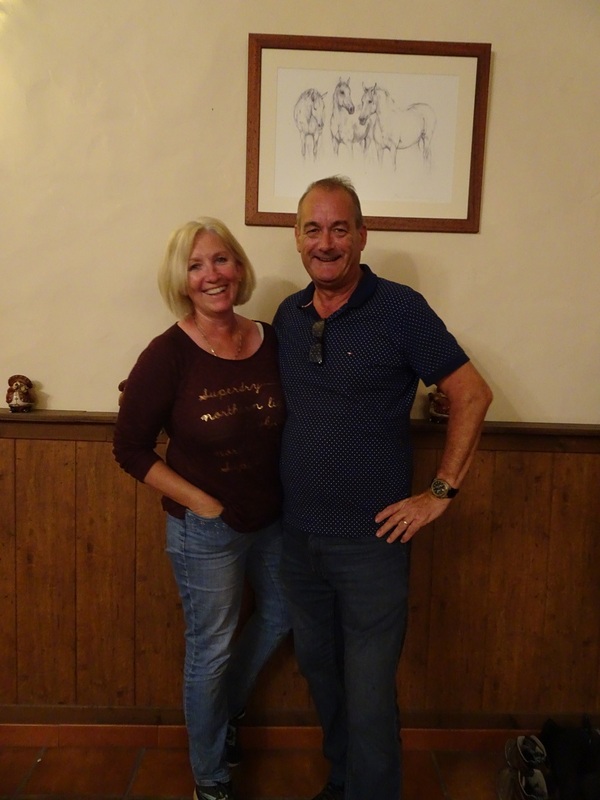 And when I arrived at the villa I was greeted by Rhiannon who had prepared a delicious lunch of Spanish omelette, local meats, cheeses and bread. Your hosts Andrew and Rhiannon. The Los Alamos villa very quicky feels like home. With the open plan dining room, lounge and kitchen you can easily help yourself to a drink, alcoholic or non-alcoholic, and recline into one of their comfy sofas. Alternatively, there are plenty of places within the gardens or by the pool where you can read a book or catch some sunshine. 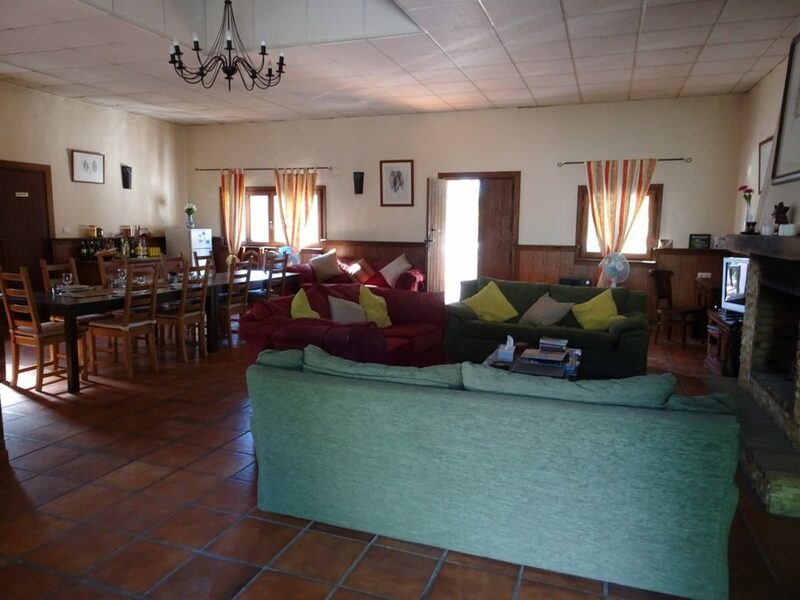 The lounge and dining area of Los Alamos. 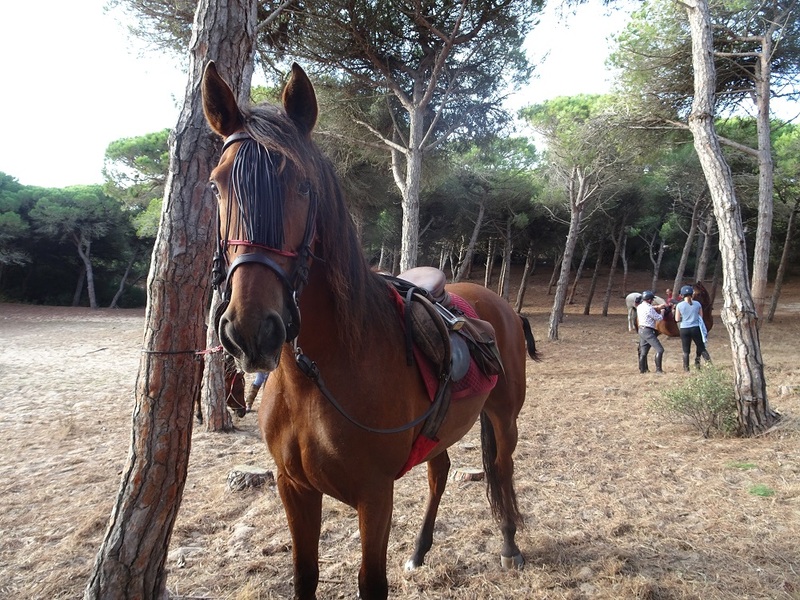 As well as this homely atmosphere the most important thing, as with any riding holiday, is the horses. I can’t remember the last time I went to a riding centre and wanted to bring all of the horses I managed to ride home. Rachel (our horse manager) is a marvel at matching horse and rider and this special talent really gives you as a rider a sense of confidence when mounting up on the first morning. Each of the horses at Los Alamos is fit and forward going and within the herd there is a fabulous mixture of horses including pure-bred Andalusians, Arabs, Thoroughbreds and cross breeds. From confidence giving steady horses to more challenging horses for an experienced rider they really have a horse for everyone. Throughout the week I rode three fabulous Andalusians each with their own personality. Pitu, Taverna and Hercules made my week truly special and if I could have fitted them in my suitcase I would have brought them all home. Hercules, one of my horses during my stay. All of the horses are well-schooled, forward going and polite. These horses are a credit to Los Alamos and are one of the main reasons people return year on year. These fabulous horses, matched with the gorgeous surroundings that you get to explore with them makes for a truly special experience. Whether it is meandering through the natural park, cantering on the beach or galloping up the many firebreaks you never know what you are going to find around the next corner. Shady forest trails protect you from the sun. 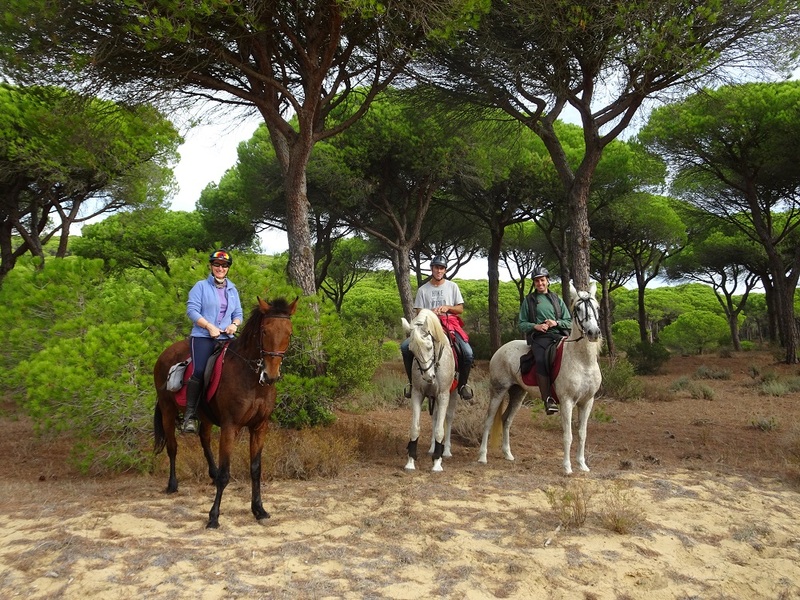 The guides at Los Alamos – Rachel, Jose and Roberto – know their horses and the area you are riding so well that you instantly feel comfortable and relaxed. How they remember all of the routes and trails around the forest is beyond me! It feels like they know where every twist, turn, rock and tree root can be found and the surefooted horses know which lines to take to keep you and themselves on track. Rachel, Jose and Roberto, your guides at Los Alamos. 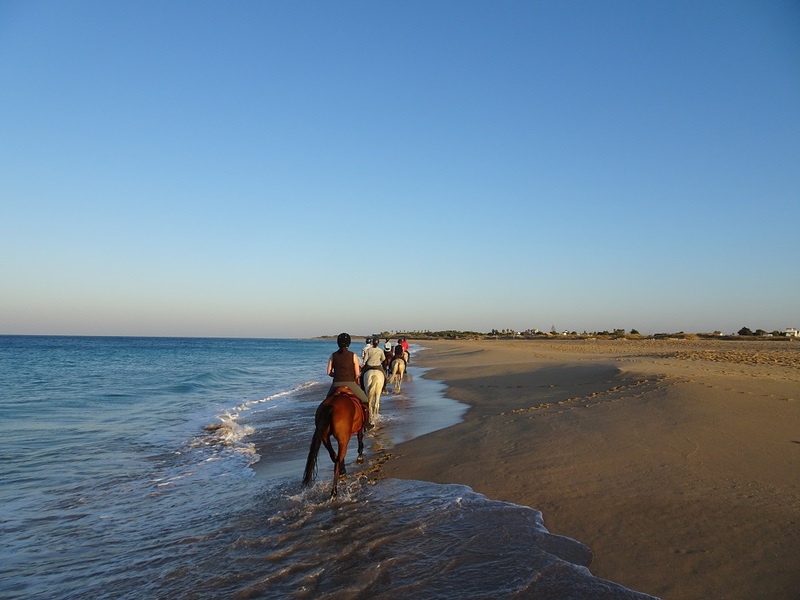 Twice a week you get to experience the thrill of cantering down the beaches of Cape Trafalgar on your mighty steed with the wind in your hair. There really is no feeling like it and I don’t think you could have wiped the grin off my face those mornings if you’d tried! You ride to match the tides and so during my stay this meant mounting up and leaving the yard early in the morning as the sky changed from jet black to inky blue and the sun started to peak above the horizon. There is nothing better than riding in the surf at sunrise. 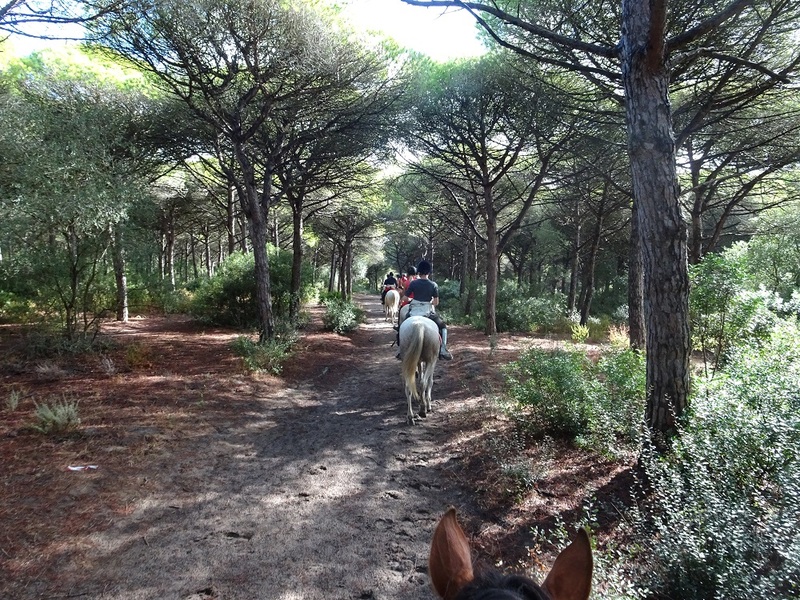 Meandering through the forest with a short canter to blow away the cobwebs, we hit the beach and the horses all perked up. After a short blast to get used to your horse on the beach, it was down to the water’s edge where we really saw what our horses could do. The hard wet sand makes for a fabulous surface and I couldn’t have thought of a better way I wanted to start my morning. 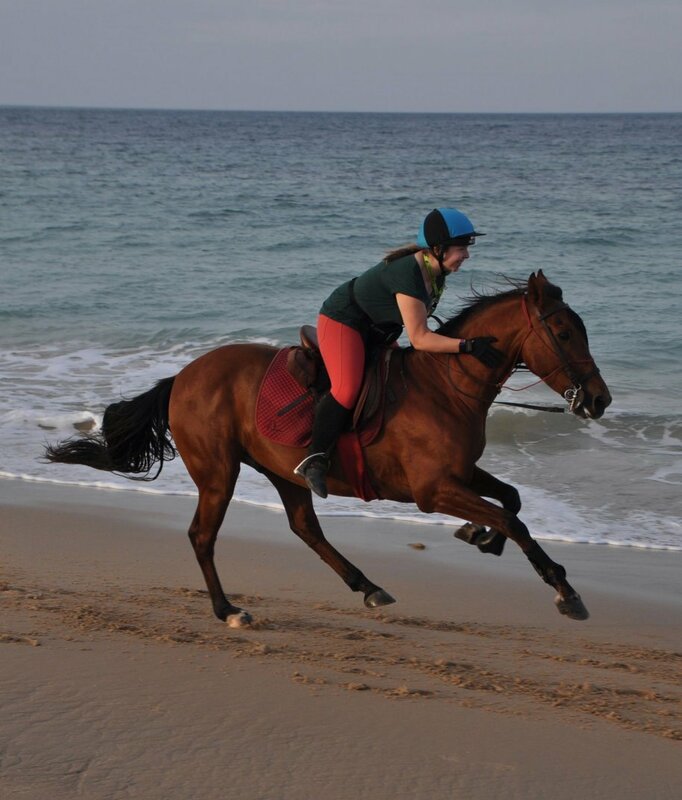 Cantering down the beach on my favourite horse of the week, Hercules. The last thing that I think makes Los Alamos special is the food. Whether you love Spanish food or you would prefer something else, Rhiannon has a brilliant way to meet all dietary requirements. 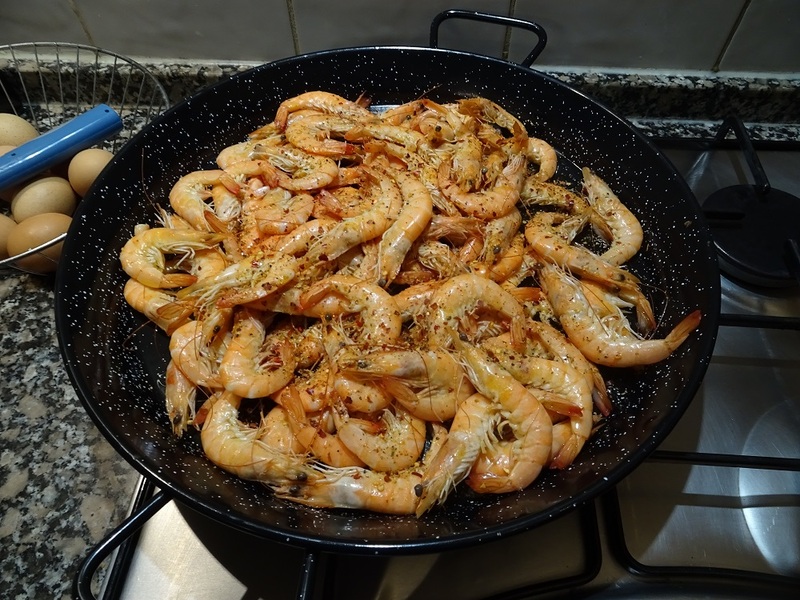 Lunches are all at local bars with simple but tasty food, with Spanish omelettes, fish, chicken, pork and a variety of vegetarian dishes. Home cooked dinners courtesy of Rhiannon ranged from spaghetti and meatballs, homemade chicken kebabs and freshly cooks langoustine. Tasty Spanish seafood for our last dinner at Los Alamos. There are many reasons that Los Alamos is our best-selling European destination and after just a week there I now understand why so many people rebook for the following year upon their return and why they are so fully booked so quickly. With friendly people, brilliant horses and fabulous riding it’s hard not to fall in love with Los Alamos. 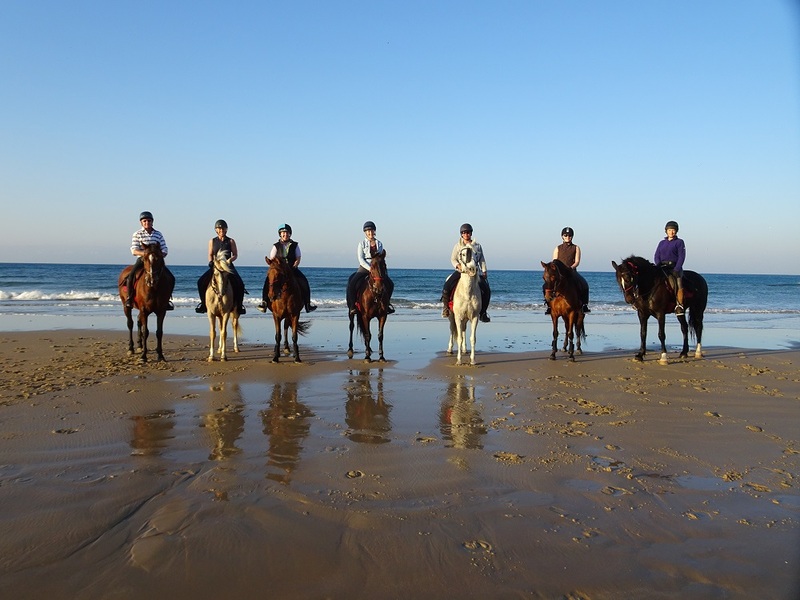 A group of very happy riders after a canter down the beach. For more information on Los Alamos or to book your place please call Imogen on +44 1299 272 242 or email Imogen@inthesaddle.com.